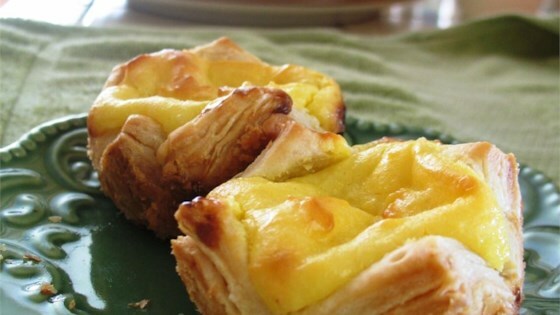 "These are delicious Portuguese Custard Tarts." You can't miss such a sacred pastry. Try Chef John's version! Easy to make and yummy too. The sweetness blended very well with the puff pastry. These are just like the Pasteis I get from the bakery down the street.. They are so yummy and easy to make. I love Portuguese food being 100% Portuguese myself.